MELBOURNE, Wednesday, 28 March 2012: Today, Madman Entertainment is proud to announce it has secured a new distribution deal with Hasbro Studios, the TV development and production division of Hasbro, Inc (NASDAQ: HAS) – the producer of hit series including Transformers: Prime, My Little Pony: Friendship is Magic, G.I. Joe: Renegades, Pound Puppies and more. The agreement with Hasbro Studios further cements Madman’s position as the home entertainment industry’s leading distributor of cool and collectible content for kids, and encompasses brand-new properties, including the critically acclaimed CG-animated action series Transformers: Prime and the cool My Little Pony: Friendship Is Magic. Developed by Bob Orci and Alex Kurtzman, the team behind Fringe, Alias, and the Star Trek and Transformers movies, and Jeff Kline (Men in Black: The Series, GI Joe: Renegades), Transformers: Prime is the state-of-the-art, triumphant CG-animated TV series and next chapter in the billion dollar Transformers franchise. With a bold and modern new look and a further deepening of the Transformers mythology, Transformers: Prime holds great appeal to new audiences and core fans alike. Peter Cullen, long-time voice of Optimus Prime from the original Transformers: Generation 1 series through to the recent Transformers movies, also reprises his role for Transformers: Prime. My Little Pony: Friendship Is Magic introduces a new generation to the My Little Pony franchise with a vibrant and irreverent take on this beloved toy brand, established more than 25 years ago. Developed by Hasbro Studios with Lauren Faust, the My Little Pony: Friendship Is Magic series has become a pop culture phenomenon across the globe, thanks to the show’s brilliantly written plot lines, high quality graphics and a message of friendship that almost anyone can relate to. “We are incredibly honoured to be partnering with Hasbro Studios and very excited to be representing their content in this territory,” said Tim Anderson, Managing Director, Madman Entertainment. “Hasbro Studios has produced a stellar line-up of shows - both faithful to the licenses and original in their approach – which will perfectly complement our existing suite of highly sought-after kids’ content”. The first wave of Hasbro content, including Transformers: Prime and My Little Pony: Friendship Is Magic will release in June, 2012. El Duque wrote: Good news for Australian fans, Madman Entertainment has secured a distribution deal with Madman Entertainment. Ah, so his madness is Dissociative Identity Disorder. Does he have a third personality that handles PR? Well, good news regardless, but no Joe Renegades down under yet? I'm glad for Australia, I wonder if they'll be getting the First Editions now!! I hope Hasbro gets the lead out of their butts and find a new distributor to do the same with the FEs here in the states!! BIGGUY007 wrote: I'm glad for Australia, I wonder if they'll be getting the First Editions now!! I hope Hasbro gets the lead out of their butts and find a new distributor to do the same with the FEs here in the states!! ummmm ... how is this relevant? 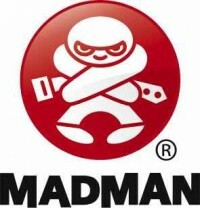 Madman have nothing to do with toys, they distribute tv shows and movies via dvd and blu-ray. Hasbro Australia will still control toy distribution here, and that's dependant on what retailers are willing to take and what Hasbro US decide to give them. 5,040 pages were recently viewed by 1,031 unique visitors. This page was viewed 1 times on Thursday, April 25th 2019 8:48am CDT. © 2019 Seibertron, Inc. DBA Seibertron.com. All Rights Reserved. Established June 2000. Seibertron.com is owned by Ryan Yzquierdo.